With the numerous annual progressive rock polls, now finalised for 2013, a serious contender for best newcomer may well have been The Twenty Committee. Somewhat overlooked methinks were this five piece, New Jersey based band, who in just a couple of weeks of studio time, recorded A Lifeblood Psalm, their accomplished and assured debut album. The Introduction is an early indicator of the quality of this release and although brief it offers a taster of Geoffrey Langley’s warm and enticing vocal delivery. Straight on into How Wonderful and even if I had not been aware of the band’s country of origin I think this track would have immediately pointed me to the US. There’s a spaciousness and punctuation here that conjure images of Steely Dan and although heavier than the aforementioned, there are several commonalities. Whereas the richness and delivery of the harmony vocals leads us more towards Kansas. How Wonderful also boasts a brief but impressive keyboard solo, followed by a longer guitar solo, before returning to the vocal. The jazzier Her Voice adds another dimension to what was becoming a great little find. The tight rhythm section of Richmond Carlton and Joe Henderson drive the piece and once again Geoffrey Langley demonstrates some nifty keyboard work, this time on a Rhodes piano. And just at the point where I thought I was getting a handle on the band’s sound, they move into a somewhat disarranged and deranged middle section. Predominantly a guitar section that crashes into cacophony before finally rising into a gripping instrumental. Again Langley impresses on the keyboards. Didn’t quite know what to make of this track on the first couple of runs through, but later it seemed like a brave, but unexpected move. I like unexpected. Now I gather that much of the material from A Lifeblood Psalm started life as a simpler singer/songwriter structure and the delicate, acoustic ballad Airtight to a certain extent confirms this, however the band introduce some nice ideas that take it to another level. What now remains is the five part The Knowledge Enterprise epic. I’m always wary of epics mainly as so many are epic only by virtue of length, rather than substance. Not so here, although I did find that The Knowledge Enterprise did come across more as five strong tracks tied together, albeit with some recurring themes. Overture lives up to its name, a three minute instrumental with numerous twists and turns. There was one worrying moment when the metallic riffing appeared, but as it was, it served as gritty backdrop to the keyboard solo. Conceivers And Deceivers combines strong vocals sections and flamboyant instrumental forays. As with the previous track there’s an ‘unexplained break’ midway through? The ballad Tonight initially serves as a resting point before the muscle is added. With These Eyes like Conceivers And Deceivers is replete with vocal and instrumental depth. The all too brief Finale ties the piece together and brings the album to fitting end. The album has a fine balance between the instrumental sections and the vocals. So far I’ve not touched on the lyrical content, which does reveal the band’s Christian leanings, but as I didn’t have a copy of the lyrics to refer to, I am unable to offer any overriding theme or concept. The album was recorded at Radiant Studios and engineered and mixed by Jerry Guidroz (Transatlantic, Flying Colors, Neal Morse), which goes a long way to explaining why the production values are so good throughout. 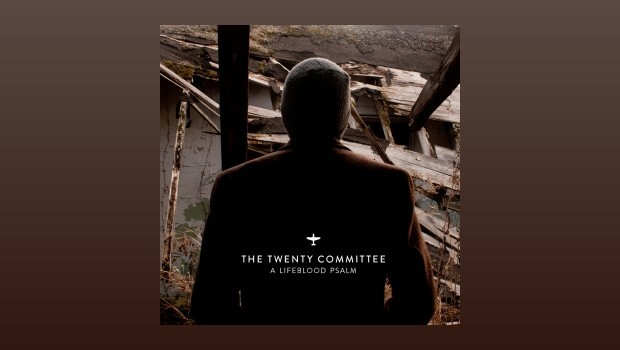 I did, and still do, have a couple of reservations about this release, but The Twenty Committee are a young band and with A Lifeblood Psalm have made a strong opening statement. Interesting to hear what the band come up with next.